In pursuance of the provisions of the Local Government Act, 1993 and the Regulations thereunder, notice is hereby given that an ORDINARY MEETING of Penrith City Council is to be held in the Council Chambers, Civic Centre, 601 High Street, Penrith on Monday 15 May 2006 at 7:00PM. Ordinary Meeting - 1 May 2006. Local Traffic Committee Meeting - 1 May 2006. Should you wish to address Council, please contact the Executive Officer, Glenn McCarthy on 47327649. His Worship the Mayor Councillor John Thain, Councillors Jim Aitken OAM, Kaylene Allison, David Bradbury (arrived 7:48pm), Lexie Cettolin, Kevin Crameri OAM, Greg Davies, Ross Fowler, Jackie Greenow, Karen McKeown, Susan Page, Garry Rumble, Pat Sheehy AM, and Steve Simat. 766 RESOLVED on the MOTION of Councillor Greg Davies seconded Councillor Ross Fowler that apologies be accepted from Councillor David Bradbury. Leave of Absence was previously granted to Councillor Mark Davies for the period 12 April 2006 to 9 May 2006 inclusive. 767 RESOLVED on the MOTION of Councillor Ross Fowler seconded Councillor Greg Davies that the minutes of the Ordinary Meeting of 3 April 2006 be confirmed. 768 RESOLVED on the MOTION of Councillor Jackie Greenow seconded Councillor Greg Davies that Standing Orders be suspended to allow members of the public to address the meeting, the time being 7:08pm. Mr Khoury stated that he is a spokesperson for the applicant, Residential Logistics. Mr Khoury stated that the developer of Twin Creeks, who are the affected adjoining landowners, approved the application. Mr Khoury outlined the chronological history of the application. Mr Khoury raised concerns about the length of time the application has spent with Council and the processes undertaken to determine the application. Mr Khoury stated that the request is only for a point encroachment, most of the building is behind the setback. Mr Khoury also stated that the design of the house on the block is to maximise views and take advantage of solar access from the North. 769 RESOLVED on the MOTION of Councillor Jim Aitken seconded Councillor Susan Page that an extension of time be granted, the time being 7:15pm. Mr Khoury asked Council why his client was advised to prepare a variation to the restriction on the use of the land, and why has the application been supported by Council Planning staff for 4 months, only to be refused in the recommendation to the report before Council at this meeting. Mr Tebbutt stated that he is speaking on behalf of the residents of Dodford Road, Doak Avenue and Spinks Road, Llandilo and is asking for Council to reject the proposed development. Mr Tebbutt stated that the development threatens to destroy their way of life, harm the environment, cause hazard to the health and safety of the surrounding residents, and that of their children and pets. It also threatens to cause them considerable financial loss. Mr Tebbutt stated that Number 2 Dodford Road has not been shown on the drawings and plans. The home on the adjoining property is very close to the proposed access point, driveway, septic bed, additional car parking, children’s play area and the proposed church. Mr Tebbutt outlined that the proposal does not meet the pollution requirements of the DCP and would generate various types of pollution. The pollution generated would be an environmental disaster. It would generate huge amounts of rubbish and septic waste. Environment and Health Protection guidelines would not be met. Mr Tebbutt is concerned that there would be an exponential increase in vehicle motion causing noise, rubbish, dust and oil leaks. Most local residents would suffer severe headlight intrusion and the local children that play on the roads would be placed in danger. Mr Tebbutt stated that the effluent generated would be extreme for the area. Penrith City Council has condemned many sewerage absorption systems in the area that service only a single family, because the clay soil has poor absorption. 770 RESOLVED on the MOTION of Councillor Kevin Crameri seconded Councillor Karen McKeown that an extension of time be granted, the time being 7:23pm. Mr Tebbutt stated that the property suffers from local flooding and overland flow. The current house on the property has had water through it a number of times. The proposal includes new buildings, sealed areas and the importing of landfill. This would reduce ground absorption of rain and divert large amounts of water through neighbouring properties, which would result in excessive flooding, creation of new watercourses and would increase soil erosion. Mr Tebbutt concluded by stating that Council should apply caution and reject this application due to potential danger, environmental destruction and lack of compliance. Mr Docherty stated that he is speaking on behalf of the residents of Dodford Road, Doak Avenue and Spinks Road, Llandilo and is asking for Council to reject the proposed development. Mr Docherty also stated that his gateway is almost directly opposite the existing entrance to the property in question. Mr Docherty stated that by allowing this development the parking of cars would cause problems with vehicle and people noise, vehicle emission pollution, oil leaks carried into the Nature Reserve by overland flow and headlight intrusion into all three streets. In particular, the headlight intrusion would affect his own property as it is directly opposite the driveway of the proposed development. Mr Docherty continued stating that vehicle access to the site would cause major disturbances and loss of amenity and privacy to the adjoining and neighbouring properties. Mr Docherty outlined that during a site inspection of the applicant’s current premises by a Council Officer, the officer noted that noise from the hall could be heard 40 metres away over the background noise of the M4 Motorway. In the currently quiet piece of paradise in which they live, they can hear bird sounds from over 100 metres away. Mr Docherty stated that the applicant’s SEE says that no landfill will be used, but the Waste Management Plan refers to the use of filling under the slab. This is a huge contradiction that greatly affects the proposed development and its local impact. Mr Docherty stated clearly that the objectives of Penrith Council’s Local Environmental Plan 201 are not met by this proposal. 771 RESOLVED on the MOTION of Councillor Garry Rumble seconded Councillor Kevin Crameri that an extension of time be granted, the time being 7:30pm. Mr Docherty concluded by stating that Council should apply the precautionary principle and reject this proposed development, which would allow the residents to return to a normal life and continue to enjoy the quiet serene amenity of this area. Mr Madden commenced by stating that the eastern boundary of his property on Doak Avenue is the western boundary of the proposed development site. He is speaking also on behalf of the residents in the area. Mr Madden stated that the total land area is adjacent to the Castlereagh Nature Reserve and is designated Bushfire Prone Land. Mr Madden continued by stating that the site drawings provided with the Development Application belie this situation by calling up adjacent properties as open space, and showing the extension of Spinks Road as a made road – which is in fact part of the forest area. Mr Madden stated that the access roads of the area, whilst currently adequate, do not meet the guidelines of the NSW planning for Bush Fire Protection guidelines, as pointed out by the RFS, would be very inadequate if this development were to proceed. Mr Madden stated that the Penrith Rural Lands Strategy makes the recommendation that rural schools and churches should be located in land adjacent to existing urban areas and that community facilities should be located in villages – this area is neither an urban area, nor is it a village. Mr Madden continued by stating that the Rural Lands Strategy also stipulates protection of the amenity of existing residents – the approval would not be in line with the requirements of this policy. · They ask Council to adopt a precautionary principal and vote for refusal of this proposal in the best interest for the amenity and environment of this small area. Professor Toon stated that he is speaking as a representative of the applicant. Prof. Toon requested that the matter be deferred to a future meeting of Council as the application will require amendments to address the concerns of the local residents. Prof. Toon stated that the application has been changed to take into consideration bush fire risks, overland water flows and wastewater disposal. Prof. Toon stated that it is proposed that the location of the building be re-located from predominantly the middle of the site to the south of the site. This will result in the car parking and driveway being moved, which will act as a barrier to bushfire. Prof. Toon addressed the issue raised by residents of excessive traffic to and from the site. He stated that the congregation consists of 25 core families, which will attend the site on a regular basis, along with a further 12 or so people from time to time. 772 RESOLVED on the MOTION of Jackie Greenow seconded Kevin Crameri that an extension of time be granted, the time being 7:47pm. Prof. Toon stated that the congregation may expand to 30 – 50 families in the near future, however a traffic survey conducted showed that there would be a total of 30 to 40 vehicles entering the site for a major service. Councillor David Bradbury arrived, the time being 7:48pm. Prof. Toon stated that no flora or fauna would be displaced on the site, except for 12 or so trees that will need to be removed for the driveway. Prof. Toon concluded by stating that the new location of the main building, which will be close to the existing house, will give the impression of a ‘group building’ which is in keeping with the area as there are a large number of properties which have quite large out-buildings located near the main residence. 773 RESOLVED on the MOTION of Councillor Jackie Greenow seconded Councillor Lexie Cettolin that Standing Orders be resumed, the time being 7:49pm. 774 RESOLVED on the MOTION of Councillor John Thain seconded Councillor Pat Sheehy that the information contained in the Mayoral Minute on Council Receives Funding Under the Castlereagh Community Funds Grants Program be received. 775 RESOLVED on the MOTION of Councillor John Thain seconded Councillor Jackie Greenow that the information contained in the Mayoral Minute on Penrith Team Results in 2006 Beijing International Marathon be received. 776 RESOLVED on the MOTION of Councillor Pat Sheehy seconded Councillor Karen McKeown that the recommendations contained in the Report and Recommendation of the Local Traffic Committee of 3 April 2006 be adopted. 2. Council approve a grant of $645.00 under the rolling component of the 2005-06 Community Assistance Program to Barnardos to assist with Open Day activities on Saturday 27 May 2006. 2. Council support the three applications tabled in this report for the 2006/2007 Capital Assistance Program. 1. The information contained in the report on Extensions & Alterations to Erskine Park Children's Centre, Erskine Park Tender 17-05/06, be received. 2. Council accept the tender of Caliber Contracting in the amount of $586,905.04 for extensions and alterations to Erskine Park Children’s Centre, Erskine Park. 4. The budget amount for the extensions and alterations to Erskine Park Children’s Centre be increased to include the revised total cost with the funding shortfall to be provided from surplus funds within the Erskine Park Residential Release Area Section 94 plan. 1. The information contained in the report on Children's Services 2006/2007 Budget Overview be received. 2. Council adopt the fees and charges for the operation of children’s services for inclusion in the Draft 2006/2007 Management Plan. 3. Council’s draft 2006/2007 Management Plan include funding of $69,247 (operational deficit of $63,247 and $1,000 equipment allocation for each vacation care service) towards service provision for the children’s services managed by Penrith City Children’s Services Co-operative. 4. The proposed 2006/2007 fees and charges for Children’s Services be adopted with allowance for PCCSC, under certain criteria, to vary the fees and charges by up to 20% having regard to a policy to be adopted by Council with regard to setting the fees and charges. 1. The information contained in the report on Development Application 05/1576 - Proposed demolition of former Q-Theatre building at Lot 112 DP 1028320 (No. 54) Belmore Street, Penrith be received. 2.2 The archival recordings of the former Q-Theatre building shall fully document the relationship between the subject building and surrounding heritage items. 3. Any further development of the site is to incorporate items 1 and 3 of the “Implementation Policy” as outlined in the applicant’s Statement of Environmental Effects dated September 2005. 1. The information contained in the report on Tender Process for the Proposed Glenmore Park Child and Family Precinct be received. 2. The matter be deferred to allow a further report to Council giving more detailed information on the tender responses. 2. Financial contribution of $51,733.00 is provided to support the operations of St Marys Occasional Child Care as part of the 2006/07 Management Plan. c) A further report to Council addressing the concerns raised by the applicant in their address to Council. i) Clauses 2(2)(a), 2(3)(c) and 2(3)(e) – aims and objectives. ii) Objectives (a), (b) and (f) for the Rural ‘A’ zone in clause 9.
ii) The attributes of the site are not conducive to the development. i) The inconsistency with the desired future character of the locality as identified in Council’s Rural Lands Study. ii) The extent of public opposition to the development as evidenced by the results of the public notification process. 787 RESOLVED on the MOTION of Councillor Pat Sheehy seconded Councillor Ross Fowler that the information contained in the report on Waste 2006 Conference be received. 3. Council’s Environmental Health Manager be authorised to make any minor changes to the Plan if required by the New South Wales Department of Energy, Utilities and Sustainability. 2. Council authorises the use of funds in the Penrith International Friendship Committee’s fund raising account to cover the expenses of the Vice Chairperson of the Penrith International Friendship Committee to the value of $3,000 to accompany Dance Power Studios during the visit to Fujieda, Japan. 4. The Agency Collection Fees information be noted. 1. The information contained in the report on Westpool Study Tour - Association of Local Authority Risk Managers UK Conference 2006 be received. 2. The Risk Management Co-ordinator involvement in the Westpool Study Tour is endorsed. 6. The proposed amendments to Strategic Program Critical Actions as detailed in Appendix A to the report be adopted from 1 July 2006. 2. Council’s Sustainability Champion, Councillor McKeown, represent Council at the Summit and leave of absence be granted as appropriate. Councillor Susan Page requested a memo reply to all South Ward Councillors on when landscaping maintenance works will be carried out on the three roundabout gardens in Glenmore Park town centre. Councillor Susan Page requested a memo reply to all South Ward Councillors on the issue of the new bus shelter that has been erected in Glenmore Park. In particular, the memo is to address the location of the shelter. Councillor Susan Page has requested that the trees overhanging Gilda Avenue, South Penrith be trimmed. Vehicles any larger than a sedan are hitting overhanging branches. Councillor Greg Davies requested a memo reply to all East Ward Councillors on the cleaning of Autumn leaves in Queen Street St Marys. Councillor Greg Davies requested a memo reply to all Councillors on the number of missed services for street litterbins. The memo is also to outline what clauses can be put into the new contract to overcome the problems that have arisen with the previous contract. The memo is also to advise how far away the new contract is. Councillor David Bradbury requested that the start time for the public meeting for the Draft Management Plan be changed to 7:00pm to allow local residents that may travel home from the City to attend. Councillor Pat Sheehy requested a memo reply as to when the site inspection of Darcy Smith Oval will take place. c) Has Council an obligation to take owners of abandoned trolleys to task over their property being left all over the City. Councillor Garry Rumble requested a memo reply on the status of the Explorers Memorial Clock, located at Nepean and Memorial Avenues, Penrith. The clock has not been operational for some time. Councillor Garry Rumble requested a memo reply on the proposed actions to be taken about this building. It has been locked for over 12 months. Councillor Rumble also requested that urgent action be taken to disconnect the electricity to this building as it still has lights on at night. Councillor Susan Page left the meeting, the time being 8:44pm. Councillor Kevin Crameri requested a memo reply as to why a guardrail was installed at the roundabout on Terrybrook Road and Ninth Avenue, Llandilo, but not at the side that has the accident problems, and who paid for it. Councillor Kevin Crameri requested a memo reply on water that is running out of Xavier College and down the roadway. Councillor Susan Page returned to the meeting, the time being 8:46pm. Councillor Kevin Crameri requested a memo reply advising on what can be done about anti-social behaviour at Andromeda Playing Fields, Cranebrook. Councillor Kevin Crameri requested a report to Council on the Blue Hills Lake Scheme. The area is overgrown and generally untidy. Councillor Lexie Cettolin requested a memo reply to all Councillors with an update on the status of the sale of vacant land in Brookfield Avenue. Councillor Cettolin tabled over 400 individually signed petitions regarding this land. Councillor Lexie Cettolin requested that the bushy undergrowth located in the vicinity of Grays Lane Child Care Centre be cleared as snakes have been seen in the area. 794 RESOLVED on the MOTION of Councillor Pat Sheehy seconded Councillor Jackie Greenow the meeting adjorn to the Committee of the Whole to deal with the following matters, the time being 8:50pm. 2 License Agreement over Part Lot 2, DP 1002686, Jeannette Street, Regentville to Department of Commerce on behalf of NSW Police Service. His Worship the Mayor Councillor John Thain, Councillors Jim Aitken OAM, Kaylene Allison, David Bradbury, Kevin Crameri OAM, Lexie Cettolin, Greg Davies, Ross Fowler, Jackie Greenow, Karen McKeown, Susan Page, Garry Rumble, Pat Sheehy AM, and Steve Simat. 795 RESOLVED on the MOTION of Councillor Pat Sheehy seconded Councillor Jackie Greenow the recommendation contained in the Committee of the Whole and shown as CW1 to CW2 be adopted. That the minutes of the Local Traffic Committee Meeting of 3 April 2006 be confirmed. 2. The preliminary design sketches showing the relocated Give Way holding line and concrete median island at the intersection of The Northern Road and Andromeda Drive, Cranebrook be referred to the Roads and Traffic Authority for investigation and comment. 3. Council request the Roads and Traffic Authority to forward the design sketches to the Authority’s Road Safety Services for comment on the speed limit on this section of The Northern Road. 4. Councillor Davies be advised. 1. The information contained in the report on Bel-air Road & Hilltop Road, Penrith - Heavy Vehicle Usage be received. 3. A Transport Management Plan be prepared and submitted to the Roads and Traffic Authority. 4. Following approval of the Transport Management Plan by the Roads and Traffic Authority the proposal be advertised in the local press and Government Gazette. (l) the organiser/applicant be advised. 1. The information contained in the report on 'No Standing' Zones - Replacement of Signs Under Australian Road Rules (ARR) be received. 2. Approval be given to change all existing ‘No Standing’ zones to ‘No Stopping' in the suburbs of Colyton, Emu Plains, Emu Heights, St Clair, North St Marys, Cambridge Park, Londonderry and Werrington, as shown in the list. 3. The Roads and Traffic Authority be advised of signs on RTA roads for their approval and necessary action. The LTC considered a report regarding traffic safety and speeding problems in Surveyors Creek Road on 11 October 2004 and Council, at its meeting on 18 October 2004, resolved in part that “provision of traffic calming devices including a pedestrian refuge island be considered to be installed along Surveyors Creek Road subject to further detailed investigation, design, and community consultation process”. Following this meeting a concept design plan showing a concrete median island to be constructed on two sites along Surveyors Creek Road where most of the accidents occurred within the bends between house numbers 9 and 15 (Site 1 – 600mm wide median) and house numbers 63 and 71 (Site 2 – 1,500mm wide median with a gap provided for pedestrians) was presented to the Committee at the meeting on 1 August 2005. The affected residents were consulted regarding the proposal, however majority of the residents objected to the installation of the concrete median due to their turning restrictions into and out of their premises. Council’s Senior Design Engineer has modified the original design plan following further investigation. The affected residents have been notified and consulted regarding the revised design plan, and at this stage, only one resident (#63) has responded and supported the provision of the traffic facility. The amended proposal incorporates construction of a set of speed cushions (ie, Sites 1 and 2, as shown on the plan) associated with a short length of a concrete median and appropriate linemarking and signposting according to Roads and Traffic Authority guidelines. The proposal also includes a concrete kerb blister to be installed on Site 2 only as a road narrowing facility and to prevent drivers from speeding on this road. The speed cushions will be installed at the two locations indicated on the plan (ie, Site 1: 5.6m from the driveway of house number 13, and Site 2: 7m from the driveway of house number 69). Construction of speed cushions will address the speeding problems and improve traffic flow, safety, and urban amenity in the area. A pedestrian refuge island, as previously requested by one of the residents, may also be considered to be provided in the future, subject to further detailed investigation, site constraints (ie, driveway locations) and funding availability. It should be noted, however, that provision of a pedestrian crossing facility would require installation of regulatory parking restrictions (No Stopping zone) and double barrier centre linemarking, according to Roads and Traffic Authority requirements. It is possible that this facility may be located between house numbers 63 and 67, opposite existing footpath paving within the drainage reserve. Council’s Senior Traffic Engineer tabled a design plan for proposed traffic facilities in Surveyors Creek Road, Glenmore Park. The RTA representative raised concerns regarding placement of the devices on the bends and it was agreed that the current design plan be endorsed subject to a site meeting being held to confirm the location prior to construction of these devices. 1. That construction of the traffic calming devices as shown on the tabled plan be endorsed by the Committee, subject to a site meeting being held to confirm the location of these devices prior to construction. The site meeting is to include Councillors, Police, Council’s Road Network Services Engineer and Senior Traffic Engineers, and affected residents. 2. Provision of a pedestrian refuge island be considered and investigated, and a report be submitted to the LTC for consideration following detailed investigation. The St Marys/Regentville Police representative advised that the St Marys Police will soon be moving to the Regentville Police Station in Jeanette Street, and advised that the Local Area Commander has requested the provision of ‘No Parking – Police Vehicles Excepted’ signage in Jeanette Street. That ‘No Parking – Police Vehicles Excepted’ signage be provided in Jeanette Street, Regentville, between the two driveways in front of the Regentville Police Station. Councillor McKeown raised concerns on behalf of Caroline Chisholm High School regarding speeding vehicles near the school. It was noted that the previous speed classification survey was carried out during 2003. 1. Council’s Road Safety Co-ordinator arrange for the Speed Alert Mobile Unit to be scheduled for The Lakes Drive, Glenmore Park. 2. Councillor McKeown be advised. Councillor McKeown raised concerns on behalf of some drivers regarding vehicles that have turned left from Great Western Highway into Castlereagh Road, expecting neighbouring vehicles to turn right into Jane Street, and causing conflict when they don’t turn. 1. The Roads and Traffic Authority be requested to consider the provision of continuity linemarking in Castlereagh Road, Penrith, between the High Street and Jane Street intersections. Councillor Sheehy asked about the status of the proposed traffic signals at the intersection of Greenbank Drive (east) and Dunheved Road, Werrington. Council’s Traffic Engineers tabled a plan for the Committee’s endorsement of the proposed signs and linemarking associated with the traffic signals. 1. An investigation be carried out into the provision of a safety barrier along the concrete median island in Francis Street (new road deviation). 2. The signs and linemarking as shown on Design Plan 7610-E64 Revision D, be endorsed. Councillor Sheehy raised concerns on behalf of Alan Shearan MP, Member for Londonderry, about speeding in Herbert Street, Cambridge Park. He advised that high school students are using this road as a racetrack. That the matter be investigated. 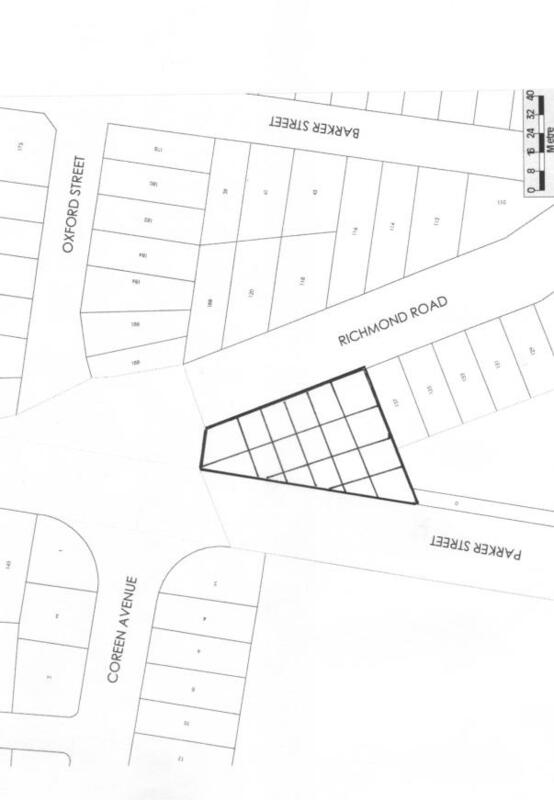 Councillor Sheehy raised concerns on behalf of a resident of Russell Street, requesting provision of a convex mirror on the bend at the intersection of Palomino Road and Russell Street, Emu Heights. The residents advised that they have difficulty reversing their vehicles safely out of their driveway due to the bend obscuring sight distance to other vehicles approaching the bend. That the matter be investigated and a report referred back to the Local Traffic Committee if warranted. There being no further business the Chairperson declared the meeting closed the time being 10.25am. That the recommendations contained in the Report and Recommendations of the Local Traffic Committee Meeting Held on 1 May, 2006 be adopted. Strategic Program Term Achievement: Penrith Valley is recognised locally and throughout Sydney as vibrant, innovative and attractive, distinguished from the rest of Sydney, with a range of services and experiences, complemented by those available in the Blue Mountains and Hawkesbury. Critical Action: Maintain a marketing program that presents Penrith Valley as the attractive, vibrant centre of outer northwest Sydney, designed to distinguish it from other parts of Sydney and attract visitors. To advise Council on the outcomes of the 2006 LGSA Tourism Conference. The report recommends that the information be received. Penrith City Council hosted the second annual LGSA Tourism Conference on 29-31 March 2006. The first conference was hosted by Forbes Council in March 2005 and was attended by Paul Page, City Marketing Supervisor. The conference was underwritten and organised by the LGSA. Council staff participated with both the LGSA and Tourism New South Wales on the Organising Committee and as host we had significant input into the program. We were also responsible for much of the liaison with the venues. Tourism New South Wales strongly supported this conference as it has recognised that it needs to re-build its relationship with local government. The Mayor hosted a welcome function at the Joan Sutherland Performing Arts Centre on the evening of Wednesday 29 March. The conference itself commenced at 9am on Thursday 30 March in the Glenmore Room at Panthers and concluded at 4pm on Friday 31 March. The conference dinner was held at the Panther Pavillion on the Thursday night. At the conclusion of the conference on the Friday, there was a complimentary bus tour of Penrith Lakes with an informal farewell function at Penrith Whitewater Stadium. The Minister for Local Government, the Hon. Kerry Hickey MP, addressed the conference on the Thursday morning. The conference attracted a good level of sponsorship. Major sponsors include Tourism New South Wales, Countrylink, REX and Panthers. We were able to assist in obtaining the sponsorship from Panthers which sponsored lunch on both days of the conference. The theme of the conference, based on our recommendation to the Organising Committee, was “Destination New South Wales…sustaining local government tourism”. We believed that the emphasis in this theme and in the conference content on local government’s role in destination management was important as many local government bodies struggle with defining what their role in tourism should be. It also provided a good environment for Tourism New South Wales to strengthen its relationship with local government. The conference program included three Penrith Valley presentations. City Marketing Supervisor, Paul Page made a thirty minute presentation to the full conference about the integration of economic development and city marketing and the potential for places like Penrith Valley, which are not holiday destinations, to market themselves as places to live, work, visit and invest. The presentation provided case studies showing how our City Marketing programs underpin the economic development program. This presentation was ranked amongst the four most highly rated by delegates according to the feedback forms collected at the end of the conference. The other two presentations were part of a thirty minute breakout session. The first was presented by Peter Flowers and was about the management of Penrith Whitewater Stadium as a viable Olympic facility. The second was presented by Jane Holdsworth of the Penrith Valley Economic Development Corporation and concerned the partnership between Council and the private sector which has allowed the development of our new visitor information centre building. As part of this presentation Jane also spoke generally about public / private partnerships. This workshop, which ran concurrently with three other workshops, was well attended. The conference program was divided into these six themes. 1. Tourism Industry Bodies – future directions – The presenters included Ron Rosalky, Chair of the NSW Tourism Industry Council, who noted that growth in domestic tourism in Australia is static and that New South Wales is not competing as strongly as it could. Barry Baillie of the Caravan & Camping Association spoke about trends in camping and caravan which engendered a lively debate during question time. Jeremy Buultjens, Director of the Regional Unit within the CRC for Sustainable Tourism in Lismore, spoke about the various research tools available from the CRC that can be applied at the local level. 6. Tourism Planning & Impacts This included a detailed statistical analysis of trends in the national tourism industry and a report from the Sea Change Taskforce on the impact of this phenomenon on the tourism industry. On Wednesday 29 March, prior to the conference welcome function, Tourism New South Wales took advantage of the large number of local tourism managers who were in Penrith Valley for the conference, by hosting an all day Tourism Managers Exchange which was held in the Nepean Room. This was an opportunity for Tourism New South Wales to brief Tourism Managers about their current activities and to receive feedback on local tourism issues. About 50 Tourism Managers attended and we received good feedback on Penrith as the venue and the Council’s presentation and facilities. Council is a member of CTA and at its AGM, which was held in conjunction with the conference, Paul Page was re-elected as Chair. Mr Page represents CTA on the Tourism New South Wales Visitor Centre Accreditation Industry Reference Group and on the Tourism New South Wales Tourism Industry Forum. The highlight of the conference dinner was the presentation of the Rod Murdoch Awards. CTA sponsors these awards which recognise outstanding achievements in local tourism by an individual and by a local tourist association or Council. The awards honour the memory of the late Rod Murdoch who was a highly regarded Secretary of the NSW Department of Tourism who died suddenly while in office in 1976. The winner in the Tourist Association category was Broken Hill City Tourism. There were joint winners in the individual categories – Dinity Haskard of Broken Hill Tourism and Lesley Edwards, Operations Manager of Muru Mittigar Aboriginal Cultural Centre at Penrith Lakes. Lesley’s award was a great honour for Penrith Valley and for Muru Mittigar. Lesley has done an outstanding job over the past few years in bringing this product up to market standards. It was most appropriate that artists from Muru Mittigar had entertained the dinner guests just before the presentation of the awards. 1. That the LGSA Tourism Conference be held again in 2007 (the 2007 Conference will alternate to a regional or non‑metropolitan coastal centre). 2. That Tourism NSW be commended for partnering the 2005 and 2006 LGSA tourism conferences and that they continue to support future conferences. 3. That the potential for closer involvement of the Tourism Industry Council (TIC) in the 2007 LGSA Tourism conference be explored. 4. That the LGSA undertake to support the Local Government Area Tourism Research Profile product produced by the NSW CTA (Council of Tourism Associations), and encourage ALGA to support the research. And that LGSA and ALGA support CTA's representations to Tourism Australia and Tourism Research Australia in regard to the on going annual production of the research (CTA). 5. The LGSA and TNSW initiate discussions on the development of a statewide policy to manage the increasing pressure from travellers in motor homes. 6. That councils encourage local businesses to enter tourism awards as part of an integrated marketing plan to encourage visitors to their areas. 7. The LGSA continue to lobby State and Federal Governments for additional funding for tourism development and infrastructure in recognition of the taxes contributed by tourism. This conference was a wonderful opportunity to showcase Penrith Valley’s assets and Council’s innovative approach to city marketing and tourism. Feedback from delegates on the venue, on Penrith Valley and on the way we market ourselves was extremely positive, with many delegates reporting that their former impressions of Penrith had been superseded by the impressive developments and other improvements that have taken place here in recent years. The conference ran smoothly and without any significant problems. This reflected the excellent work and close attention to detail of our Marketing Officer, Vanessa Erskine and the LGSA staff, Meg Fisher and Michelle Simonetta. Vanessa was assisted by 10 of our Penrith Valley Ambassadors and three students studying Event Management at TAFE. As a venue, Panthers performed very professionally and made a major contribution to the success of the conference. Their sponsorship of the lunch on both days of the conference was much appreciated. This project was a great encouragement to the City Marketing team in reinforcing the understanding that they are making a valuable contribution to the well being of the city. The Mayor has written to thank the volunteers, staff and the Penrith speakers who all contributed to the success of this conference and to Lesley Edwards congratulating her on her win in the Rod Murdoch Awards. To advise Council of the outcome of the Expressions of Interest (EOI) process and to recommend seven companies to tender on the proposed architectural services for the refurbishment of Memorial Hall and additional carparking and site beautification. The development of the Penrith Valley Cultural Precinct at St Marys is a major project and has an implementation program over an extended period. Council has adopted a Precinct Masterplan which has been a guide for Council’s implementation strategy. Council’s Steering Committee met late last year and determined a scope of work for the next stage of the masterplan implementation. Council at its meeting on 12 December 2005 endorsed that program of activities. The Steering Committee agreed to a plan for Memorial Hall which included modifications and refurbishment to provide for new spaces for use by a range of community / cultural groups. It was also agreed a brief be prepared and expressions of interest be sought from suitably qualified and experienced architects to further develop those concept plans to the stage where approvals could be granted and builders engaged to carry out that work. The 11 conforming tenders were assessed by a Panel comprising Landscape Architect Supervisor Karin Schicht, Architectural Supervisor, Viggo Knackstredt, Project Co-ordinator, Robert Paluzzano and Urban Designer, Ajmal Siddiq. 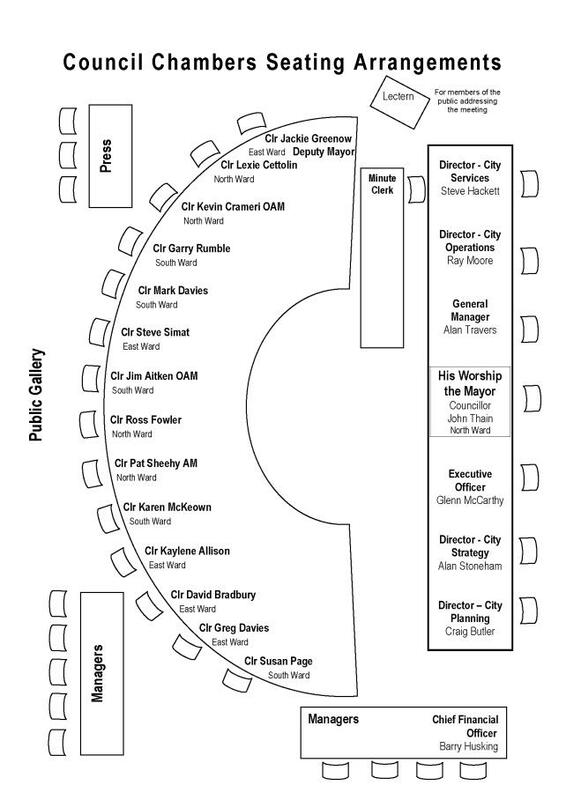 A program has been prepared which is targeting Council’s meeting on 3 July 2006 for consideration of a report on the preferred architect/specialist. 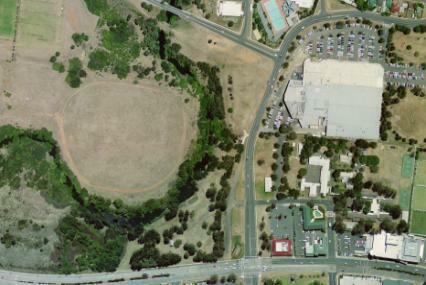 Council has received Expression of Interest from specialist consultants for the development of the next stage of the Masterplan for Penrith Valley Cultural Precinct at St Marys, including the proposed modifications and refurbishment to the Memorial Hall, stage one landscaping and associated carparking as determined by Council’s Steering Committee and endorsed by Council at its meeting on 12 December 2005. Submissions were received from seventeen (17) consultants and out of these eleven (11) complied with the tender requirements. The Tender Panel determined that the seven (7) top ranking companies be invited to submit a fee proposal for consideration by Council. Strategic Program Term Achievement: Agreement has been reached with State Government agencies to provide mutually agreed services and facilities to the City consistent with its growing requirements. Critical Action: Determine and prioritise the services and facilities needed to allow the City to perform its metropolitan and regional roles. To outline the current arrangements for regional infrastructure levies and developer contributions as they apply to new urban release areas. The report recommends that the information contained in this report be received. Council is currently planning for nine new urban areas and a major employment area. Each of these areas are at various stages of progression, and the status of the planning for each area was reported to Council on 6 March 2006. A priority for our planning for new release areas is to ensure that they deliver quality urban environments and that they foster the establishment of sustainable new communities. A key focus for our planning response to new urban developments includes early provision of contemporary infrastructure, services and facilities. This would include establishing secure funding arrangements to ensure that new infrastructure and required upgrades to existing utility services, facilities and transport networks are delivered in a timely fashion commensurate with new urban growth. Recent planning initiatives at the Metropolitan and sub- regional levels have focused attention on the delivery and funding of infrastructure to support new urban development at a regional level. The adopted Metro Strategy in 2005 made certain commitments by Government to refine infrastructure funding options, particularly in relation to the North West and South West Growth Centres. This is in addition to Section 94 developer contributions which are applied at a local level, as a condition of development consent, towards the cost of providing local public infrastructure and facilities required as a consequence of development. The power to levy a Section 94 contribution relies on there being a clear nexus between the development being levied and the need for the public infrastructure or facility. Development Contributions Plans are therefore developed to provide for the demand for services and facilities generated by the additional population in either a new urban release area or infill residential development. In new urban release areas, a contributions plan is developed for the whole estate to provide for new services and facilities or the upgrading of existing local amenities where required. Alternately, a Planning Agreement can be made between the developer and Council which can provide at least an equivalent level of services and facilities to those set in an adopted Section 94 Plan. New development also brings additional demand on regional infrastructure, such as major transport links and regionally significant environmental protection areas, and, while these have traditionally been the responsibility of Government, there has increasingly been a demand on the development industry to shoulder some of the financial commitment for infrastructure delivery, through mechanisms such as Regional Infrastructure Levies. There are a number of major reviews occurring within Government in terms of infrastructure delivery to new urban areas. In January this year the Director – General of the Department of Planning, Sam Haddad, wrote to Councils advising of the NSW Government’s intentions for infrastructure contributions and sustainability criteria. The advice related principally to new urban development outside the North West and South West Growth Centres in Metropolitan Sydney. It is intended that all future greenfield release area rezonings in Metropolitan Sydney will be levied at comparable rates to those set in the North West and South West Growth Centres. This includes land releases where Council has already resolved to prepare an LEP under section 54 of the Environmental Planning and Assessment Act. However, for land releases where an interim transport contribution rate has already been established by Government, these contribution rates will be maintained at their current levels. The aim therefore is that development contributions will substantially or fully fund all regional infrastructure costs associated with land releases in the future. The extent of regional infrastructure costs associated with a new land release is determined by the Department of Planning, which will make recommendations to the Minister for Planning regarding an appropriate regional infrastructure contribution rate and method for applying the contribution. At the Councillor Workshop held on the 13th February 2006, where we discussed the Government's Metro Strategy and the planning for Penrith Lakes, Andrew Watson of the Department of Planning indicated that there was a clear opportunity which would now be pursued by Government to seek Regional Infrastructure Levies in future release areas, including those outside the North West and South West Growth Centres. In Penrith, some of these are already being negotiated in relation to Penrith Lakes and Glenmore Park Stage 2. The principle for charging levies is in accordance with the above advice from the Director-General. In the Council discussion, Andrew raised the general scope of the levies being spoken of for the Growth Centres, i.e. between $25,000 and $65,000 per lot with the average being around the $40,000 - 45,000 mark and noted that the levies proposed in other new greenfield areas would be likely to be comparable, although he did acknowledge that the Government was yet to confirm the amount and the process for how they would be charged. He indicated that a decision would be taken shortly and the process publicly announced within the next couple of months. The Department of Planning focus in considering the regional levies to date has been largely on transport and arterial road networks, but opportunities are also being considered for elements such as biodiversity conservation, education and other Government services. Since the adoption of the Metro Strategy by Government in December last year, it is understood NSW Treasury officials and the Growth Centres Commission have been reviewing the levies. The Minister for Planning also introduced new legislation last month which amended the Environmental Planning and Assessment Act to enable special infrastructure contributions. Special infrastructure contributions are a development contribution which may be levied by the State Government in ‘special contributions areas’. Special contributions areas will initially include any Growth Centre. The Minister will set the level and nature of special contributions, which will be imposed as conditions of development consent. Special infrastructure contributions are in addition to any development contribution that Councils may collect under Section 94 or Section 94A of the Environmental Planning and Assessment Act. Special infrastructure contributions may be used to fund the capital or recurrent cost of public amenities or services, affordable housing, transport or other infrastructure, or environmental conservation. They can be used outside a special contributions area as long as the infrastructure provided arises as a result of development in the special area. On 11 April 2006 The Minister for Transport and Acting Premier, John Watkins MP, wrote to WSROC clarifying how planning, transport and infrastructure funding responsibilities will be coordinated in the Ministerial and Departmental structure, and advising that the State Infrastructure Strategy 2006/07 – 2015/16 is currently being finalised for public release in June this year (in conjunction with the State Budget). The advice states that the Government has created the Infrastructure Implementation Group (IIG) within the Premier’s Department and the Office of Infrastructure Management (OIM) within Treasury. The Cabinet Standing Committee on Infrastructure and Planning (IPCC), supported by the IIG, Treasury and Department of Planning, will review major infrastructure. A copy of the advice is attached to the report. In summary, the Minister for Planning has responsibility for planning reform and Metro and regional strategies, advising on transport and infrastructure needs through the IPCC. The OIM is responsible for developing the State Infrastructure Strategy which will have a 10 year horizon. Mr Goth elaborated that levies would be in the range of the Growth Centres levies, but the levy would still need to be justified in terms of the specific regional infrastructure that is required to support that development. It was also indicated that levy infrastructure components would be similar to those being levied for in the Growth Centres, the process being similar to those underway in Glenmore Park Stage 2 and Penrith Lakes. It is yet to be determined what process would be engaged for the determining of levies on smaller sites. It was also emphasised that the relevant Government agencies will continue to play a critical role in determining the need for a certain piece of infrastructure and also scoping the details of what needs to be provided. Recent advice from the Department of Planning has revealed that a final determination on infrastructure levies and the process for their delivery is imminent. There is every indication that the levies will provide a mechanism to ensure that a component of developer contribution arising from new urban areas in Penrith will become available for identified infrastructure requirements of regional significance, i.e., those facilities the responsibility of State Government agencies. Some of these, including the Werrington Arterial and University Railway Station, have already been flagged as necessary transport infrastructure to support growth within the WELL Precinct and beyond, and have also been identified in the Penrith Arterial Roads Study. We are continuing to lobby the Government to obtain agreement for these and other significant infrastructure in the City to be advanced. The new regional infrastructure levy system can, in our view, assist in accelerating the establishment of critical infrastructure given it provides a substantial revenue stream to the Government and greater budget certainty for the planning and delivery of infrastructure elements. We will continue to press for the Government’s final regional infrastructure levy program, and the identification of the infrastructure components to which levies will apply. In our release area planning, we will also continue to promote the view that regional infrastructure elements identified in Penrith will be given priority. To advise Council of a proposal from Landcom to assist in advancing Council's directions for the growth of the Penrith City Centre and St Marys Town Centre. The report recommends that Council enter into the necessary agreements with Landcom. The NSW Government’s Metropolitan Strategy released in December 2005 identifies Penrith as a Regional River City, one of the six regional cities (Penrith, Parramatta, Liverpool, Gosford, Wollongong and Newcastle) to provide improved access to jobs and lifestyle opportunities. The Strategy proposed a Stronger Centres Initiative with the purpose to cluster a range of jobs, services and housing around public transport nodes that serve population catchments. The Premier’s Economic and Financial Statement released on 23 February 2006 included an initiative for a Taskforce to prepare new City Centre Plans for the six regional cities by December 2006. The Minister for Planning has written to Council seeking to work cooperatively to develop the Plan which would include a vision, an appropriate planning instrument, a development control plan including design guidelines, a public domain plan and a contribution plan. The Minister has also said that he will ensure that there is a whole of Government input into the planning process and that real outcomes flow from the new city plans. The Department of Planning convened a meeting with the six Regional City Mayors and General Managers on Friday 12 May 2006. Details of the Taskforce arrangements and proposed work program will be provided in a separate report to Council in the near future. The Strategy outlines a new role for Landcom in strategic urban renewal projects and development. This role can include assembling key sites, finance, procuring infrastructure, master developer, project manager and the provision of development advice. Accordingly, the General Manager convened discussions to brief Landcom on Council’s draft Centre Strategies and to explore Landcom’s interest in investigating how key projects relating to the City Centres could be advanced. To facilitate the development of a commercial office building on Council or government land for government agency tenants. As a first step Landcom would undertake an audit of government services and their current and future floorspace needs and commence discussion with relevant Government landowners to determine the availability of sites that could be developed to support Council’s strategy. To prepare a structure plan for the area generally bounded by the Railway line, Mulgoa Road, Jamison Road and the Nepean River. The study would aim to identify a series of iconic land uses that links the City Centre with the Nepean River. The project will build on previous studies undertaken by both Council and Panthers. Landcom is proposing to undertake this work on Council’s behalf and at no direct cost to Council. Landcom has secured Panthers participation and financial support for the project. It may be appropriate for Council’s Working Party on the Carpenter Site to be reconvened. To assist Council and the Department of Housing to prepare a masterplan and feasibility studies for the renewal of the Glossop St precinct adjoining the Town Centre. This area was identified as a key peripheral area in the review of the St Marys Town Centre and is generally bounded by the Great Western highway, Glossop St, Phillip St and Gidley St. The Department of Housing has significant holdings in this precinct. Concurrently the Department of Housing have written to Council seeking to commence the planning for the redevelopment of this precinct identified in the Memorandum of Understanding signed with Council in July 2005. The offer from Landcom represents a real opportunity for Council to progress some of the key element of the City Centres’ Review and in particular with the Riverlink proposal, to determine the future use of significant landholdings that are important to Penrith’s future as a Regional City. The Riverlink project would require Landcom being appointed as Council’s agent and the necessary Council officer participation. Landcom’s role in the Penrith City Centre Commercial project would be subject to the arrangements with the Department of Planning Regional City Taskforce. Finally, Landcom’s involvement in the St Marys Renewal project would e subject to discussions with the Department of Housing. Should Council endorse this initiative then reports will be brought to Council on the individual projects. The Riverlink Project would be the first to be advanced. Strategic Program Term Achievement: The City’s recreation and leisure facilities and services meet its needs and are optimally used. Critical Action: Ensure facilities and services reflect the City’s diverse current and future recreation and leisure needs. To inform Council of donations made to amateur sportspersons and/or representatives in the fields of art, music, culture for overseas and interstate travel for the January-March 2006 quarter. The report recommends that the information be received. a donation of $300.00 was made to Guides Australia with a request that it be passed on to Tricia Field of Glenbrook (student at Kingswood TAFE) to help defray her travelling expenses when she participated in a cultural exchange at The World Association of Girl Guides Pax Lodge in London during February-April 2006.
a donation of $400.00 was made to Coerver Coaching Oceania with a request that $200.00 each be passed on to Zedric Catley-Bond of South Penrith and Michal Rydzewski of Glenmore Park to help defray their travelling expenses when they compete in the Coerver Coaching Soccer Tournament being held in New Zealand during July 2006.
a donation of $200.00 was made to Baseball NSW with a request that it be passed on to Rick Schwarz of Mt Druitt (member of St Marys Baseball Club) when he competes in the Under 13’s Baseball Team Tournament being held in New Zealand during April 2006.
a donation of $100.00 was made to Soccer NSW Futsal with a request that it be passed on to Amy Refalo of Emu Plains to help defray her travelling expenses when she competed in the National Futsal Championships held in Brisbane, Queensland during January 2006.
a donation of $300.00 was made to Cycling NSW with a request that $150.00 each be passed on to Amanda Spratt & Nicholas Spratt of Springwood (members of Penrith Panthers Cycling Club) to help defray their travelling expenses when they competed in the Australian Track Cycling Championships held in Adelaide, South Australia during February 2006.
a donation of $400.00 was made to Basketball NSW with a request that $200.00 each be passed on to Leonie Moore of Werrington Downs and Sarah Goodwin of Werrington County to help defray their travelling expenses when they participate in the Under 20 Australian National Basketball Championships held in Perth, Western Australia during February 2006.
a donation of $450.00 was made to Indoor Netball NSW with a request that $150.00 each be passed on to Joanne, Lauren and Pate Cooper of South Penrith to help defray their travelling expenses when they compete in the National Indoor Netball Championships being held in Adelaide, South Australia during April-May 2006. $100.00 be passed on to Christal Fitzgerald of Colyton to help defray her travelling expenses when she competes in the 2006 Women’s National Baseball Championships being held in Ipswich, Queensland during April 2006.
a donation of $100.00 was made to NSW In-Line Hockey Association Inc with a request that it be passed on to Dylan Gray of Orchard Hills to help defray his travelling expenses when he competes in the National In-Line Hockey Championships being held in Melbourne, Victoria during April 2006.
a donation of $100.00 was made to NSW Department of Education and Training with a request that it be passed on to Kara Leo of Cranebrook to help defray her travelling expenses when she competed in the Pacific School Games held in Melbourne, Victoria during November-December 2005. To seek Council's endorsement for the naming of a park on the corner of Richmond Road and Parker Street, Cambridge Park. The report recommends that Council approve the naming of the park "Cambridge Park Lions Club Reserve." The existing park on the corner of Richmond Road and Parker Street, Cambridge Park is currently unnamed. A request has been received from the Cambridge Park Lions Club to officially have this park named “Cambridge Park Lions Club Reserve”. Many Service Clubs such as Lions, Rotary and Apex have local parkland named after them in return for an undertaking by the clubs to undertake work on the land throughout the year doing as much as possible to ensure it is kept clean and tidy. The Cambridge Park Lions Club has offered to do the same. The following information has been provided by the Lions Club to support their application. The Cambridge Park Lions Club was chartered on 29 July 1979 and has been in the Penrith area for nearly 30 years. Although only a small club, they are very active and during this time, many thousands of dollars has been raised for local, national and international charities and other worthy organisations. In recent years, the club has assisted locally by supplying gym equipment to a youth half way house in Lemongrove, made equipment available to several local families with handicapped children, most recently raising $11,000 for a Cranebrook boy with cerebral palsy so that he can learn to walk with the aid of a Hart-Walker. Each year they provide a free sausage sizzle for the collectors on “Red Cross Calling” day. Last year as a result of raising $7,000 for Tsunami relief, the club formed a sister-ship with a Lions Club in Colombo, Sri Lanka who have received all the funds and material raised to assist 2 fishing villages near Galle that were nearly wiped out. All work for Tsunami goes to the Lions Club directly with no deductions for administration. To live up to the Club’s motto “We Serve”, they are always in need of new members and a dedicated park or reserve will help raise the profile of the club and keep the local community aware of their existence. The Club have offered to erect a sign accordingly to Council standards in the reserve if their application is successful. Based on the information received from the club, it is apparent that it has made and still makes a significant contribution to the local community. It is therefore appropriate for Council to approve the naming of this small reserve “Cambridge Park Lions Club Reserve” and to allow the erection of appropriate signage. It is not proposed to have the Geographical Names Board consider this naming for official gazetting as it does not meet the criteria set by the Board. Several other parks have previously been named by Council without this gazetting, for example Potter Field and Darcy Smith Oval. Strategic Program Term Achievement: A program of renewal for selected neighbourhoods that contributes to a sense of community identity and cohesiveness is being implemented. Critical Action: Implement agreed strategies for the delivery of facilities, services and infrastructure. To seek Council's endorsement for the naming of the large meeting room in the new Nth St Marys Neighbourhood Centre. The report recommends that Council approve the naming of the room to be the "Jim Anderson Room" to acknowledge the significant contribution the late Mr Jim Anderson, former of Member for Londonderry. The old North St Marys Neighbourhood Centre was housed in a fibro Department of Housing cottage for over 20 years. The centre, and the programs it provided, had long outgrown this cottage. During 2002 Council, together with North St Marys Neighbourhood Centre Inc., convened two workshops focussing on the local needs of the North St Marys community. These workshops identified a new neighbourhood centre as a priority for the area. Securing funding for the construction of the North St Marys Neighbourhood Centre was a major challenge for Council. Traditional funding sources for community facility provision, such as those available for new release areas through Developers Contributions, was not available for the North St Marys Neighbourhood Centre project. As a result, Council developed a funding strategy for the project that included possible funding contributions from the Department of Housing and the Premiers Department Community Solutions initiative. On 4 February 2003 Council representatives met with the late Mr Jim Anderson, former State Member for Londonderry, representatives from relevant State Government agencies and representatives of the Neighbourhood Centre Management Committee to discuss the need for a new Neighbourhood Centre to enhance social capital and improve life opportunities for local residents in North St Marys. As part of his long term commitment to the interests of his constituents Mr Anderson spoke passionately to the meeting of the significant social and other needs within North St Marys. At this meeting Mr Anderson made his goal very clear – to achieve NSW Government funding from the Mt Druitt Community Solutions initiative and from the Department of Housing to the proposed new North St Marys Neighbourhood Centre Project. The late State Member also assisted Council in facilitating a meeting with the St. Marys Rugby League Club and the St Marys Band Club regarding financial contributions from the clubs to the project. Sadly, Mr Anderson passed away on 22 March 2003. However with the ongoing support of Mr Anderson’s successor as Member for Londonderry, Mr Allan Shearan, MP, Mr Anderson’s goal was achieved. The NSW Government has committed approximately $350,000 to the new Centre and a number of local registered clubs, including St Marys Leagues Club, also contributed funds to the Centre fitout and playground. The Centre was opened by the Mayor of the day, Councillor Jackie Greenow, in August 2005. Council has received a request from the Management Committee of the North St Marys Neighbourhood Centre to name the large meeting room in the new centre the “Jim Anderson Room”. Council has written to Mrs Kathleen Anderson, the wife of the late Mr Anderson, regarding this request. Mrs Anderson has indicated that she would welcome a meeting room in the new Neighbourhood Centre being named after her late husband in recognition of his contribution to North St Marys and the residents of the area. Council Officers have organised a short ceremony to celebrate the official naming of the ‘Jim Anderson Room’ in the North St Marys Neighbourhood Centre. This ceremony will be held on Saturday, 27 May 2006 at 2:00pm at the Centre. An afternoon tea will be provided at the end of the short ceremony. Mrs Anderson and other family representatives will be attending the ceremony along with the staff who worked for the late Member for Londonderry. A number of current State Members of Parliament have been invited to attend the ceremony including Mr Allan Shearan MP, Mrs Karyn Paluzzano MP, The Hon. Diane Beamer MP, Mr Richard Amery MP, and Mr Roger Price Federal Member for Chifley. Representatives of the North St Marys Neighbourhood Centre Inc. will also attend the ceremony. The late Mr Jim Anderson, former Member for Londonderry, was well known for his committed support of the North St Marys Neighbourhood Centre project. Mr Anderson was instrumental in advocating for funding contributions from relevant State Government agencies and local registered clubs for the North St Marys Neighbourhood Centre project. Council has received a request from the Management Committee of North St Marys Neighbourhood Centre that the late Mr Anderson’s contribution be acknowledged for his vigorous advocacy for the new Centre through the naming of a room in the new Centre in his honour. It is recommended that Council endorse the naming of the large meeting room in the North St Marys Neighbourhood Centre as the “Jim Anderson Room” and that Council officers finalise arrangements for the ceremony. Critical Action: Facilitate joint use of the City’s recreation and leisure facilities, including co-location of programs. To advise Council of the successful applications for Council funding from the NSW Department of Environment and Conservation under the Castlereagh Community Fund Program. The report recommends that the information in this report be received. The Castlereagh Community Fund was established by the New South Wales Government to provide benefit for local residents following the continued use of the Castlereagh Waste Management Centre after it failed to close on the promised date. Approximately $1.1 million was raised by means of a special levy. Council submitted several projects for consideration in the first round of grant assessments as outlined in the Ordinary Meeting of 2 May 2005 and 10 October 2005. Applications for the first round of grant assessments closed on 13 May 2005. The Assessment Committee advised Council that a total of 66 applications totalling $7.6 million were received, competing for $1.1 million. Due to the similar nature of various proposed projects in the same precinct Council was invited to co-ordinate and submit two applications in the second round applications. The following submissions were subsequently made. · The “Buildings Project” includes the Londonderry Soccer Club amenity building and Londonderry Neighbourhood Centre. Both buildings will undergo extensive alterations. · The “Grounds Project” will include works attached to the soccer fields, netball courts and the adjoining public school. In its report to Council on 10 October 2005 the Internal Working Group responsible for the submission believed that the focus should be on the Londonderry Precinct, which would yield a greater benefit and long-term results for the people in the immediate vicinity of the Castlereagh site. A total of 34 Stage 2 applications for grants over $25,000 were received. Council was successful in both the “Building” and “Grounds” Projects. On Friday 21 April 2006 a presentation to successful applicants for the Castlereagh Grants was held at the Londonderry Neighbourhood Centre. The Member for Londonderry Mr Alan Shearan MP presented grants totalling $986,046 to His Worship the Mayor, Councillor John Thain for Council’s projects. A program has been developed so that the detailed work involved in these projects can be finalised and the work is planned to be undertaken as tasks in the 2006/07 Management Plan. Strategic Program Term Achievement: The cultural assets of the City have been integrated to establish its reputation as a creative place. Critical Action: Further integrate the City’s principal cultural facilities to maximise community benefit. To seek authority to merge the Penrith Regional Gallery and Lewers Bequest Board and the Joan Sutherland Performing Arts Centre Board. The report recommends that the Boards be merged. “to develop and report back to Council on a strategy for the integration of the City’s principal cultural facilities, and to oversee implementation of the strategy, as adopted by Council”. Council also invited representation from the Boards of the Joan Sutherland Performing Arts Centre, Penrith Regional Gallery and Lewers Bequest and Railway Street Theatre. Those representatives are the Hon Peter Anderson AM and Mr John Mullane. Council also considered representation from the Penrith Valley Cultural Precinct at St Marys, but deferred any representation until that project is a little further advanced. The matter was last reported to Council on the 6 February 2006. The composition and role of the Committees could be determined by the Board of Directors. These are merely suggested Committees. It would be open to the Board to determine the types of Committees that operate. In any event at least two Directors from the Board should hold a position on each of the Advisory Committees, with one of those Directors chairing the respective Committees. On the 6th April 2006 a public consultation forum around the proposed new management structure was held with interested persons and organisations. Brian Elton from Elton Consulting facilitated this forum. A copy of Mr Elton’s Report is annexed to this report. At the public forum support was expressed for the proposed management structure by many of the participants. One concern raised was that one or two people could not see the need for this new structure and how this would assist cultural development in the City. The answer was given that the merge would give the opportunity to allow for economies of scale leading to a better-resourced operation achieved by the removal of duplication. What was not reinforced was that once the administration is streamlined then a better-managed operation would create the opportunities for accelerated and more diverse cultural development in the City. Both the Joan Sutherland and Regional Gallery Boards have also been formally consulted and have written to Council expressing support for the merging of the Boards. The Working Party considered the outcomes from the Public Consultation Forum on the 12 April 2006. The Working Party is recommending the merging of the two Boards by the amendment of the Joan Sutherland Board constitution to accommodate the Penrith Regional Gallery operations. It is proposed that if Council adopts this approach then Council’s Legal Department will attend to the amendment of the constitution and all steps necessary (including deregistration of the Gallery Board). A copy of the proposed altered constitution is attached. The Working Party is suggesting that the name of the Joan Sutherland Board be changed from The Penrith Bicentennial Performing Arts Centre Limited to the Penrith Performing and Visual Arts Limited. The Working Party has also discussed the position of the existing Board Members and considered it is appropriate that all Board members stand aside. This has also been discussed at the meetings with the two Boards where no objection has been raised to this. It has also been discussed that Council engage in a process to select new Directors and that existing Directors could nominate, along with others for the new positions. - A demonstrated relationship or interest in the region to which the proposed new Board would provide cultural activities. · That submissions be submitted within a timeframe, of 21 days from the calling of the advertisement. Such submissions to be in writing. · A selection panel, to consist of the Mayor, General Manager or his nominee, a Councillor selected by the Council and an independent. During this process a draft Service Specification for the combined services relating to the Joan Sutherland Performing Arts Centre and Penrith Regional Gallery has been developed and will continue to be developed. The draft Service Specification will be considered in the near future by the Council. The Service Specification sets out the level of service that can be expected of the merged Board and ensures that the identities of the various arts are not lost. This was a concern expressed during the process and the Service Specification ensures that the requisite attention is given to the art form by the Board that is proposed by this report. The Board of Joan Sutherland Performing Arts Centre has been approached by the Railway Street Theatre Board expressing their desire to merge with the Joan Sutherland Performing Arts Centre Board. This will be the subject of further detailed investigations and a report to Council in the near future. A body of work has been undertaken by the Working Party. All investigations and consultations have demonstrated that merging the two Boards will create benefit for the Region and the provision of cultural development. This report sets out the process and seeks the authority to move forward with the merging of the two Boards. The report also sets out the process of selecting the Directors to the new Board. The report foreshadows the adoption of a Service Specification, which will ensure that requisite service levels are maintained. 6. Council consider nominating Councillors to assist the process of recommending to Council the appointment of Directors to the Penrith Performing and Visual Arts Limited. To advise Council of a letter from the Principal of St Clair High School regarding grant funding for the development of a full sized sporting field within their grounds. The report recommends that Council participates in the project and provides a financial contribution. In December 2003 Council considered a report (see attached), concerning the development of a full sized (100m x 70m) sporting field at St Clair High School. The area where the field is intended has been unused space ever since the school opened in 1987. The High School have attempted to build a field over the ensuing years but nothing ever eventuated. In 2003, the Principal of St Clair High School lobbied the Department of Education for financial assistance to develop the field. The Department indicated they would make funds available providing the school find other financial partners to the project. As a result, the Principal suggested that if a new field was provided it would be available for community use. Having another full sized field in St Clair would be a major benefit to the local sporting community especially soccer. The St Clair Soccer Club has over 80 teams and is in desperate need of more space for training and games. The Mark Leece Soccer facility is immediately across Endeavour Road from the High School so there are definite advantages to the soccer club. In December 2003 Council resolved to participate with the Department of Education (St Clair High School) to seek funding from the NSW Department of Tourism, Sport and Recreation for a Regional Sports Facility Grant. Council’s share in the project was $45,000, which would be sourced from Grant Funded Projects Reserve. Unfortunately, the grant application was unsuccessful and the project was again put on hold. Last year, the Principal of St Clair High School again applied to the Department of Education for funding under the ‘Investing in our Schools Program’. The Principal has been advised the application for funding has been successful. With Grant funding from the Department of Education and other funding from the school there is a shortfall of $33,000. The School has asked Council to contribute this amount into the project. According to the original agreement in 2003, Council committed $45,000 to the partnership. The School will make the field available to the St Clair Soccer Club who will pay Council normal annual hire fees for the ground. The School has also asked that Council manage the construction of the field and carry out the ongoing maintenance according to the adopted scheduled maintenance frequency in the Parks Service Specifications. Total cost for the annual maintenance will be $5,000. The potential partnership between Council, St Clair High School and St Clair Soccer Club has many obvious advantages to all concerned. Sufficient funding for Council’s contribution to the project, $33,000, is currently available from the Grants Funded Projects Reserve. Ongoing maintenance costs will be met from within the Parks operational budget. Any liability issues that may arise from the use of the grounds will be limited by standard agreements that oblige users to inspect playing fields prior to use and accepting responsibility for their activities. Both the school and the user groups are responsible to reporting / requesting services to maintain the playing field surface. An agreement for the management of ongoing maintenance will need to be developed by Parks Construction Maintenance Manager. Council stands to gain the use of a high standard sporting field for comparatively little cost. The field will be available to the St Clair Soccer Club for winter use and to the greater community in summer. The ongoing maintenance of the field will require a relatively small amount of additional resources. St Clair High School will use the field during school hours instead of using the fields at Mark Leece. This will be a significant benefit to the school and the St Clair Soccer Club at Mark Leece Soccer complex. To inform Council of the recommended works to the value of $80,000 per ward, to improve off road pathway access in three of the City's district parks. The report recommends that Council endorse the proposed works to pathway improvements within these parks. Council resolved at its meeting on 20 June 2005 to enable the allocation of $80,000 per ward from the Open Space Development Contributions Plan for the development of pathways within Council’s parks. Some initial proposals for pathway improvements within identified district level parks in the East and North Wards included the development of stage 1 of the shared path network through Jamison Park (a section around the south western corner) and a pathway in Werrington Creek Park providing a link from Burton St, adjacent to the existing informal car park, through to the playground site. The Asset Manager requested a review of the proposed recreational pathways, suggesting that the proposed pathways for Jamison Park and Werrington Creek Park, should be deferred, pending the recommendations emerging from the Pathway Action Plan. Advice was sought regarding key district parks within the City that required either new or upgrades to existing paths for the $80,000 per ward allocation. The proposals were developed in conjunction with Council’s Asset Management and Parks Construction and Maintenance Departments, as an interim measure prior to the completion of the City’s Pathway Action Plan. Given that the $80,000 per ward allocation must be spent this financial year, it is necessary to provide the recommendations for the pathways in identified district parks, prior to the development of the Pathway Action Plan. The three district parks recommended in this report for pathway upgrades are South Creek Park in St Marys, Tench Reserve in Jamisontown and Werrington Creek Park in Werrington. 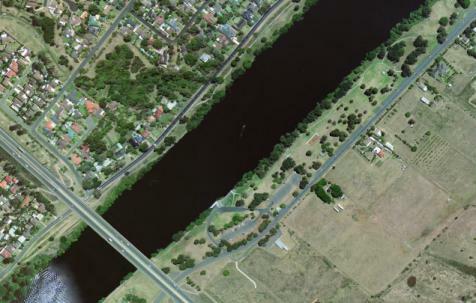 The development of a pathway linking the Great Western Highway, through to the major recreation precinct that includes the Hydrotherapy pool, Ripples, the South Creek Park Sports Fields and St Marys High School was proposed, with two options for the Asset Management Department to consider that included a route through the park, or along Charles Hackett drive. Stage one has completed a pathway link from the existing 3 metre wide concrete path at the Gross Pollutant Trap (GPT) to the Hydrotherapy pool and stage two will replace the existing brick pavement with a two and a half metre path (to reduce impact through the existing tree line) adjacent to the car park, through to the Great Western Highway. To improve the visual amenity of the pathway, it is proposed that a combination of earth tone colour and some Aboriginal art stencil work (due to the Aboriginal heritage significance of this site) be incorporated into the path design, which has the support and endorsement of the local Deerubbin Aboriginal Land Council. The proposal to replace the damaged bridge in Werrington Creek Park and a 1.5 metre pathway from Victoria Street through to Herbert Street has already been approved as a result of a report presented to the Council meeting on 3 April 2006. Council’s Asset Manager has recommended the exploration of other options for works emerging from the Pathway Action Plan, as the proposed pathway in Jamison Park is a significant project. A suggested alternative is the development of a cycle way linkage in Tench Reserve as a priority given the popularity of this park and the high visitation rates. One option for the $80,000 allocation for the South Ward could be to provide a dedicated off road 2 metre cycle lane linkage from the M4 cycle way ramp along the eastern side of Tench Avenue together with a crossing to link up with the existing shared pathway just south of the property south of the Nepean Shores development (approximately 740m). Other priorities for pathways in Tench Reserve will be to provide greater access from the car parks and to the amenities for people with diverse abilities. Feedback from Council’s Disability Access Committee on 5 April and Council’s Disabilities Services Officer recommended the inclusion of access parking bays (one each) adjacent to the two main amenities buildings with pathway access and a 1.5 path link from the access car park bays (replacing the existing brick pathway that is uneven in places) to the picnic shelter over looking the main playground. The development of this dedicated cycle lane on the eastern side of Tench Avenue would reduce potential conflict with car parking along the western side of Tench Avenue and take cyclists away from the busy boat ramp area and road intersections. A dedicated cycle lane along this route would also reduce the potential conflict with other pathway users closer to the river and within the section of Tench Reserve that has the highest concentration of visitors. A section of rear to the kerb parking (approx. 150m) from the cycling crossing will improve safety for cyclists until they can link up with the existing 2 metre asphalt pathway within Tench Reserve. An off road link from the road crossing to a level section of the existing shared pathway is not possible within the available budget and advice from Council’s Transport Planner is that this compromise is the next best alternative. The development of quality pathway networks within the City’s district level parks was identified in the PLANS report as a priority by residents and included in the draft Open Space Action Plan. The $80,000 allocation for each ward is derived from the Open Space Development Contributions Plan that was recently placed on public exhibition. To advise Council of the status of the management of the 'Margaret Farm' property. The report recommends that the Common Seal of Council be affixed to all necessary documents. At Council’s meeting on 20 June 2005, it was resolved to accept the offer of the Ministry for the Arts to lease and manage the Margaret Farm property (Margaret Farm, 52 Wilson Street, St Marys) and administer the Western Sydney Artists in Residence program. The Western Sydney Artists in Residence program is an initiative under the Western Sydney program enabling artists to work and live in the region. The residential program will involve the partnering of both local and state based stakeholders. Lease and occupancy arrangements have now been finalised with the State Government departments. However, the resolution of Council’s meeting of 20 June 2005 did not include authority to affix the Common Seal of Council to documents. The lease cannot be signed without the Common Seal being affixed. Considerable work has been undertaken by staff of the Joan Sutherland Performing Arts Centre, together with officers of the Department of Planning, Land Management Branch, to prepare ‘Margaret Farm’ for the commencement of the exciting Western Sydney Artists in Residence program. Finalisation of the lease and the Joan Sutherland Performing Arts Centre being given the keys to ‘Margaret Farm’ is expected within days of a Council resolution to affix the Common Seal of Council. Strategic Program Term Achievement: Services are provided to meet the diverse needs of families and to support the development of children. Critical Action: Deliver Council's Children's Services to meet the current and emerging needs of families and children. To advise Council on the design options for Tamara Children's Centre extensions and the updated costings. The report recommends that Option Two (building extension) be progressed to tender stage and a further report be submitted to Council. A report to Council at its meeting of 2 December 2002 regarding the Section 94 plan for the North Cranebrook estate advised that there was insufficient demand for a stand alone 40 place children’s centre for children aged between 6 weeks and school entry age. It was however, identified that there were unmet demands for places for 0-3 year old children. Council adopted a proposal to advance designs to meet these needs by extending Tamara Children’s Centre to provide an additional 15 places for 0-3 year old children. The report proposed that a further report be provided on the result of the preliminary design estimates and cost estimates process. A further report was provided at the meeting of 27 October 2003. At this time $650,000 was allocated to this project. Concept designs and specifications for this project were developed and contemporised in 2005 to include Council’s requirements in relation to Environmental sustainability. These ESD principles also have the benefit of reducing ongoing consumption of power and water and subsequent cost saving in relation to service operations. WHP Architects were engaged to develop the designs for these extensions. From the outset of the design process, WHP recommended that two options be considered. One option involved the demolition of the existing building and re-building a new centre on the existing slab. The second option involved an extension to the existing building with some minor modifications. The disadvantages of this model are the increased costs. Option Two is based on minor internal changes together with an extension to the existing building. Whilst this will provide the necessary floor space and additional facilities such as increased cot rooms, it will not meet all aspects of the specifications relating to ESD and improved functionality. A Quantity Surveyor has been engaged to prepare preliminary project costs based on the work (DA plans) prepared by WHP Architects. Option One has been estimated to cost $1,031,275, whilst Option Two is estimated at $757,500. These costs include an allowance for detail design, documentation, approvals and construction together with a contingency allowance. More detailed project costs can be prepared when the designs are advanced to tender stage and contain more detail. The source of funds available for the above facility is from the North Cranebrook S94 Plan. As indicated above, the allocation for this project in October 2003 was $650,000. The application of CPI to this amount, to bring it to a budget figure as at Dec 2006, yields $694,827. However the application of interest to the S94 plan has exceeded the CPI rate. This has resulted in accrued funds of $770,000 being available for the advancement of Option Two. Whilst Option One would produce a more sustainable solution to the project, the costs significantly exceed the available budget. Option Two is the cheaper option, however, this too exceeds the budget by a marginal amount, however, as indicated by the Financial Services Manager’s comment, could be covered by interest accrued to the account. There is little opportunity to reduce the scope of works and meet the project objectives. It is recommended that Option Two be progressed to tender stage and a Quantity Surveyor be engaged to prepare a more detailed project cost. At that time a further report will be submitted to Council with a recommendation regarding funding for the project. To provide Council with further detailed information on the tender process for the proposed Glenmore Park Child and Family Precinct as requested at the Ordinary Meeting held on 1 May 2006. The report recommends that Jackson Teece be appointed to prepare the master plan, design and documentation for the Glenmore Park Child and Family Precinct. A further report will be submitted to Council prior to tender for construction. A report presented to Council at its meeting of 1 May 2006 advised the outcome of the tender process for the proposed design and documentation of the Glenmore Park Child and Family Precinct at The Parkway and Blue Hills Drive, Glenmore Park and recommended that Jackson Teece be appointed as the consultant architect. At the above meeting Council discussed the differences in the fees submitted by the three short listed tenderers and the need for a specialist playground designer proposed by the preferred consultant. Council requested a further report providing more detail on the tenders received before making a determination on the appointment. At the Ordinary Meeting of 28 April 2005 Council endorsed the community ‘hub’ model proposed for the Glenmore Park Child and Family Precinct. The concept behind this model was to provide a range of community spaces where local residents will feel welcome to visit and stay to build relations. The emphasis will be on ‘place making’ rather than ‘facility provision’. This model is significantly different from the more traditional stand-alone model of facility provision that Council has provided in the past. It recognises the significant role that the adventure playground and public domain will play in drawing the community together and to the site. The Adventure Playground will be the ‘main feature’ that will attract people to the site 7 days a week. This is particularly important when considering the importance of passive surveillance and asset protection. A well-designed and interesting adventure playground will be attractive and accessible for everyone in the community, even older people who will just come to rest and watch the children play. All of the other functional areas will radiate off this central feature. Adventure Playgrounds are significantly different from the standard ‘off the shelf’ playground that Council has provided in the past. An adventure playground is purpose built and incorporates the natural environment (eg. slope of the land) as much as possible. This is an important element that makes an adventure playground not only interesting and challenging to children but also cost effective by potentially reducing the amount of leveling and infill required on sloped sites such as the Child and Family Precinct. Council received 25 tenders for professional design services. Out of these 21 complied with the tender requirements. As reported to Council at its meeting of 1 May 2006 all three tenderers on the short list meet the basic requirements in regard to the assessment criteria and demonstrated experience with related projects including community type projects and child care facilities. However, between the three proposals, there are marked differences in the areas of community consultation and landscape design. In terms of consultation, the Baker Kavanagh proposal relied heavily on community participation and public consultation as an integral part of their design process, however, their submission did not include costing for this exercise. This approach would therefore place an unreasonable high demand on Council’s services for this work and add hidden cost to the project. In comparison Jackson Teece and Suters did not base their submissions on a high level of community participation and public consultation, which places them in a better position in regard to this issue. As mentioned above the ‘community hub’ model is unique in its nature. This model incorporates a range of interconnected functional areas that will radiate off a centralised and attractive public domain and adventure playground area. This centralised area will play a significant role in drawing the community together and achieving Council’s desire for “thriving, inclusive and sustainable communties. This unique project therefore requires a well-rounded team of experts including experts in landscape, public domain and adventure playground design. The general landscaping and public domain/adventure playground are major elements of this project. The estimated project cost of these elements alone is $680,000. Added to this is the cost of the Child Care Facility Playground at an estimated cost of $190,000, making a total cost of $870,000 or approximately 25% of the total project cost (estimated at $3,660,000). Given the scale of the landscape/public domain and playground elements, it is considered that Suters has underestimated the complexity of this part of the project and the extent of professional services required to meet Council’s objectives. This is reflected in their fee submission. This could place unforeseen demand on Council’s resources or raise the need for additional services to be provided by the consultant during the design process to meet Council’s expectations. In comparison it is considered that both Jackson Teece and Baker Kavanagh have allocated sufficient and reasonable resources for general landscape architectural services, which places them in a better position than Suters. Additionally, Jackson Teece has demonstrated a superior understanding of Council’s requirements by including a specialist consultant, Rick McConaghy for playground design and in particular, adventure playground and public domain design, which are critical and important elements of the overall project. Rick McConaghy is a well-known playground design expert and together with Jackson Teece, brings substantial experience to the project in the identified critical areas. Mr McConaghy is respected by Council’s children’s service staff and has successfully carried out a number of recent designs for Council playgrounds. On balance it is therefore considered that Jackson Teece is best suited for this particular project due to their superior understanding of the project requirements, which was not totally evident in the other two submissions. A detailed comparison of the short listed consultant teams’ fees was presented to Council at its meeting of 1 May 2006 and is also listed below. Council will recall that the preferred tenderer, Jackson Teece included Sustainability Assessment and Access Consultant’s services as part of the Architect’s services, while the other two submissions showed them as separate consultants. To make the comparison easier to read, the Sustainability Assessment and Access Consultant’s services have now been included under the Architect for all three consultant teams. It is noted that the Architects’ fees (including Sustainability Assessment and Access Consultant’s services) vary between $82,000 and $115,000 with Jackson Teece’s fees being highest and Baker Kavanagh’s fees being the lowest. Overall Suters consultant team’s fees are lowest. This is partly due to the difference in architect’s fees as mentioned above and partly due to the landscape architect’s fees, which are quite low. Another reason is the additional services included by Jackson Teece for an adventure playground design expert. A report presented to Council at its meeting of 1 May 2006 advised the outcome of the tender evaluation process for the proposed Glenmore Park Child and Family Precinct and recommended that Jackson Teece be appointed as the consultant architect. Council has already endorsed the community ‘hub’ model proposed for the Glenmore Park Child and Family Precinct. This model places an emphasis on developing a significant focal attraction in the centre through the adventure playground and public domain. Jackson Teece has pulled together a well-rounded team of experts with particular emphasis on public domain and adventure playground design demonstrating a superior understanding of Council’s requirements. This has not been as evident in the other two short-listed tenderers' submissions. Jackson Teece’s fees are higher than the two other short listed teams’ fees. However one of the other tenderers, Baker Kavanagh’s submission revealed associated hidden costs for community consultation, which was not included in their fee proposal. This approach would therefore place an unreasonable high demand on Council’s resources. It was considered that the third tenderer, Suters has underestimated the complexity and importance of the public domain/ adventure playground design, which shows in a relative low fee allocated for the design of this part of the project. This could result in additional services and associated fees being allocated during the design to meet Council’s requirement. On balance it is therefore considered that Jackson Teece is best suited for this project. 1. The information contained in the report on Tender Process for the Proposed Glenmore Park Child & Family Precinct be received. 2. Jackson Teece be appointed as the Architect to complete the masterplan, design and documentation in accordance with their tender submission. 3. A further report be submitted for Council’s consideration when designs are advanced for the project and a quantity surveyor’s report on costings has been prepared, before proceeding to tender for construction. To enable Council to determine an application to change the finished height for an existing landfill operation. The report recommends that the application be approved. The Enviroguard Erskine Park Landfill is located on the site of the Erskine Park Quarry, which commenced excavation in the 1920’s. The quarry sourced rock from a prominent hill in the landscape. The hill was approximately 500m long and 300m wide and rose to a height of approximately 50m above the adjacent creek level (87m AHD) with steep slopes on both the southern and western sides. From 1961 until 1994 Readymix Concrete Industries operated the quarry. In 1992 a development application (DA163/92) was submitted to Council for the filling and eventual rehabilitation of the quarry using non-putrescible waste disposal. In November 1992 Council granted conditional consent. A number of the conditions specifically related to site rehabilitation at the cessation of landfilling operations. The Environmental Impact Statement (EIS) that accompanied the 1992 application specified the maximum height of the final landform to be 65m AHD. Since 1992 when the development consent was granted, the regulation of landfill operations has changed from the Metropolitan Waste Disposal Authority to the Environmental Protection Authority (EPA). The legislation that regulates the operation of landfill operations is Protection of the Environment Operations Act 1997 (POEO Act 1997). The current situation sees all landfill operations licensed and regulated by the EPA under the POEO Act 1997. Furthermore, the EPA is the ‘Appropriate Regulatory Authority’ (ARA) as defined under the POEO Act 1997, essentially assuming all responsibility for the monitoring and regulation of the environmental performance of the landfill. The current regulatory environment involves the EPA being fully responsible for the operation, closure, and post-closure phases of the landfill as well as any actual or potential environmental impacts. These aspects of the current operation are licensed by the EPA. What the license does not cover is landscaping and beautification works that would be considered by the EPA to be above and beyond those required to satisfy the landfill’s environmental performance as required by the EPA license. These matters are for Council and are captured by consent conditions. The applicant wishes to extend the lifetime of the land filling operation, hence the request for the increased height in landform. The Enviroguard Erskine Park Landfill site is located within the Erskine Park Employment Area, south of the suburbs of Erskine Park and St Clair. Access to the site is from Mamre Road and an access road recently constructed as part of the Macquarie Goodman-Walker Corporation industrial development. Erskine Park Employment Area is characterised by large scale existing and ‘under construction’ industrial development. The development site comprises Lot 4 DP 1094504 being the site of the previous Erskine Park Quarry and the current Erskine Park Landfill, Lot 6 DP 1094504 occupied by Enviroguard for offices, weighbridge and maintenance facilities, and Parts 2 and 3 of Lot 5 DP 1094504, which includes areas under license to Enviroguard from CSR. A locality map is attached. An office/weighbridge facility is located on the access road with two weighbridges. There is also a vehicle wheel wash facility located in this area. Other office and amenities buildings are located on the site. A Waste Transfer Station receives waste from all vehicles requiring hand unloading, while larger vehicles unload at the active face of the landfill. Enviroguard propose with this current application, and as a result of ongoing consultation with Council, to seek development consent for the continued land filling of the quarry site with non-putrescible waste and site rehabilitation to a post closure, post settlement height to the pre-quarry landform of 87m AHD. Land filling rates are not proposed to be changed from current levels (approximately 1 million tonnes per year). An increase, such as the one requested, requires ongoing use of the site facilities and the construction of two additional sedimentation basins, which is included in the application. It is anticipated that land filling operations will continue for an additional four to five years. Within the EIS accompanying the development application, the applicant has included a contour plan based on a 1947 aerial photograph showing the original landform with the elevation at the top of the hill being 87m AHD. In order to achieve a post settlement height of 87m AHD it would be necessary to take account of settlement by filling to a higher level prior to closure and site rehabilitation. Calculations provided by the applicant suggest an interim elevation of 92m AHD. After closure of the landfill approximately 60% of the settlement is anticipated to occur over the first 10 years with final levels achieved approximately 24 years after closure. A Staging Plan has been submitted with the application. Each stage includes waste placement, rehabilitation (including capping) and landscaping. As each stage commences, the batter is put in place first, essentially obscuring from view the majority of operations. The Staging Plan demonstrates that as the landfill rises above 65m AHD, stages 1, 2 and 3 occur on the eastern end of the subject site, essentially ‘raising’ the eastern end of the landfill before the western end. This has been proposed to minimise any visual impact on the site when viewed from the establishing industrial areas and to minimise any potential impact on future industrial development adjoining the site. As each stage of the landfill is completed, a commensurate amount of landscaping would be planted to ensure that the landscaping has the maximum amount of time possible to get established. The staging plans and photographic montages have been provided to Councillors under separate cover. Rehabilitation of the site forms part of the application. The rehabilitation works commence on completion of waste placement and with the construction of the capping materials. The staging of these works will progress steadily from east to west across the landfill. As the capping works will take a considerable amount of time (in excess of one year), the capping material will be placed on the eastern end of the landfill whilst operations will continue in the western half. At the completion of waste disposal, the remaining uncapped areas will be capped. The Landscape Plan indicates a potential path network providing pedestrian and maintenance vehicle access to the top of the new landform. These are only indicative however at this stage and as such, approval of the Landscape Plan would be premature. A condition of consent has been recommended that would require the applicant to lodge and receive written approval for a more detailed landscape plan within 12 months from the date of the consent. In this regard it is noted that a more detailed landscape plan is required from the applicant in any case for the purposes of the Department of Environment and Conservation (DEC) licence. The proposed development is a designated development under Schedule 3, Clause 32 of the Environmental Planning and Assessment (EP&A) Regulation 2000 in that it would involve a waste management facility or works that dispose of waste by land filling in quantities that exceed those specified in the Clause. Pursuant to Section 78(a) of the EP&A Act, the application lodged with Council is accompanied by an EIS. In this regard, the Director-General of the Department of Planning has also been consulted as to the required content of the EIS. In addition, the proposal is ‘integrated development’ under Section 91 of the EP&A Act in that an amendment to the existing pollution control licence would be required under the Protection of the Environment Operations (POEO) Act 1997 and a licence is required under the Water Act 1912 for the establishment of a new groundwater monitoring borehole, which in turn are a requirement of the EPA license to monitor groundwater contamination. Nine existing groundwater monitoring boreholes are situated on the subject site. The additional borehole is proposed as a result of pre-lodgement consultations between the applicant and the EPA. Concurrence has been received from both the Department of Environment and Conservation (DEC) and the Department of Natural Resources (DNR). The General Terms of Approval received by each Authority are attached to this report. The development application has been assessed in accordance with the provisions of Section 79C of the EP&A Act and the following considerations have arisen. SREP 20 is relevant to the proposal as the proposed development site is within the nominated catchment. This plan aims to protect the environment of the Hawkesbury-Nepean River System by ensuring that the impacts of future land uses are considered in a regional context. In this regard it is noted that the application has been referred to, and received concurrence from both the Department of Natural Resources and the Department of Environment and Conservation. The proposal is not expected to have any adverse cumulative impact on the Hawkesbury-Nepean River system and meets the requirements of SREP 20, subject to recommended standard conditions including for sediment and erosion control measures. SEPP No 33 requires the conduct of a risk screening procedure to determine if any industry is potentially hazardous or offensive under the SEPP. It is considered that the proposed development does not include any hazardous or offensive activity as described by the SEPP. The subject site is zoned 4(e)(Employment Zone) under LEP 1994. The proposal is defined as site filling and is permissible with the consent of Council. Having regard to the relevant objectives of the zone, the proposed development would not result in an adverse environmental effect on the amenity of adjoining localities because of its central location within the estate and considerable distances to residential areas. Additionally, the continuance of the operation would see the retention of the current workforce (22 in total) on site for the projected lifetime of the landfill. It is therefore considered that the objectives of the zone would be satisfied by the proposal. While the subject site is surrounded by industrial lands, it is still considered that, given the ongoing operation of the facility, the proposed development would not negatively impact on the nearby Erskine Park and St Clair residential suburbs, given its distant proximity to those areas. 25. (2) The Council must not consent to development on the land to which this clause applies unless it has taken into consideration a management plan providing for the restoration of the quarry and the surrounding land, being a plan approved at the time being by the council. c) the development contributes to restoration work provided for by the management plan. The current application specifically addresses the issue of rehabilitation of the quarry/landfill and surrounding lands and amends the previously approved management plans for the rehabilitation of the site. It is considered that the application satisfies this Clause of LEP 1994. (e) To promote and maintain a diverse local rural landscape and associated amenity. The proposed revegetation of the revised final landform is considered to be consistent with the objectives of the Draft LEP. Conditions of this consent require the applicant to obtain written approval for a detailed Landscape Plan that is consistent with the Biodiversity Restoration Plan For Erskine Park Release Area prepared by Greening Australia. This will ensure that the appropriate type and volume of vegetation is planted on the subject site. The EPEA DCP applies to the development site and provides more detailed provisions than the LEP in regard to development standards, the provision of public amenities and service infrastructure and biodiversity conservation.